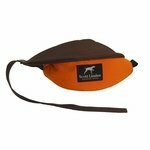 Scott Linden Cordura Real Bird Bumper Pheasant. $39.95. "Great product to train with!!" German Shorthaired Pointers. Hunts. Family pet. Great product to train with!!!!!!!!!!!!!!!!!! Great weight and feel for the dog. Very much like a duck or pheasant. Wing and overall construction seems to help the dog pick up the bumper from the middle. This is my dog's favorite toy/training device. Good quality. Only quip is that my dog likes to take the toy by the strap and whip it around, and the sewing is not the strongest there is. So it can start to separate pretty easily. Great product though. Dog was able to chew small holes in the outer fabric. I like the concept but the Bumper is not holding up well. Have a young dog (puppy teeth). Shows holes in it already. 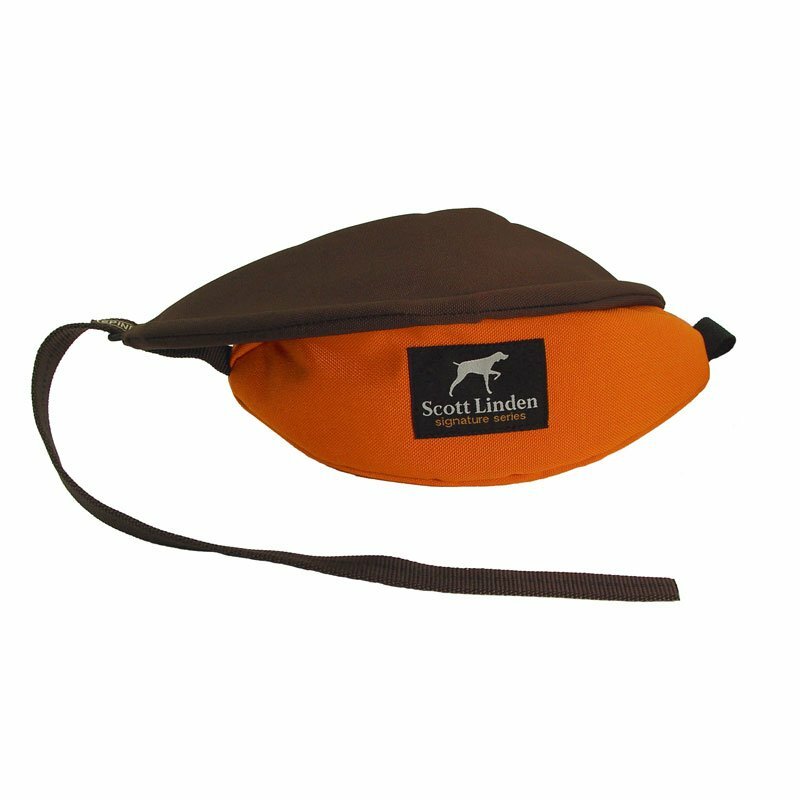 The Scott Linder Signature Real Bird Bumper has a loose, pliant cordura "skin" that encourages dogs to open wide and grip the whole body. 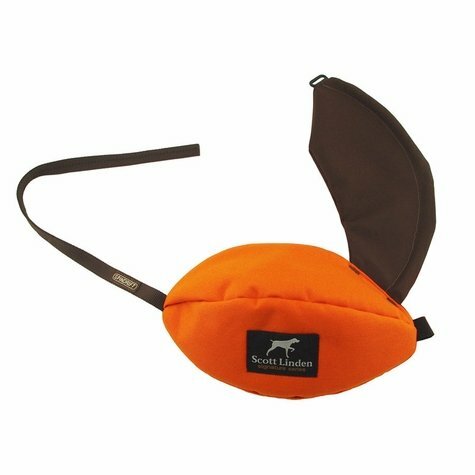 Authentic weight eliminates surprises in the field and tests, and the wing blocks your dog's vision once in a while. Lock down the wing with the buckle to encourage a body grip, and so puppies can't cheat by picking up the wing alone. 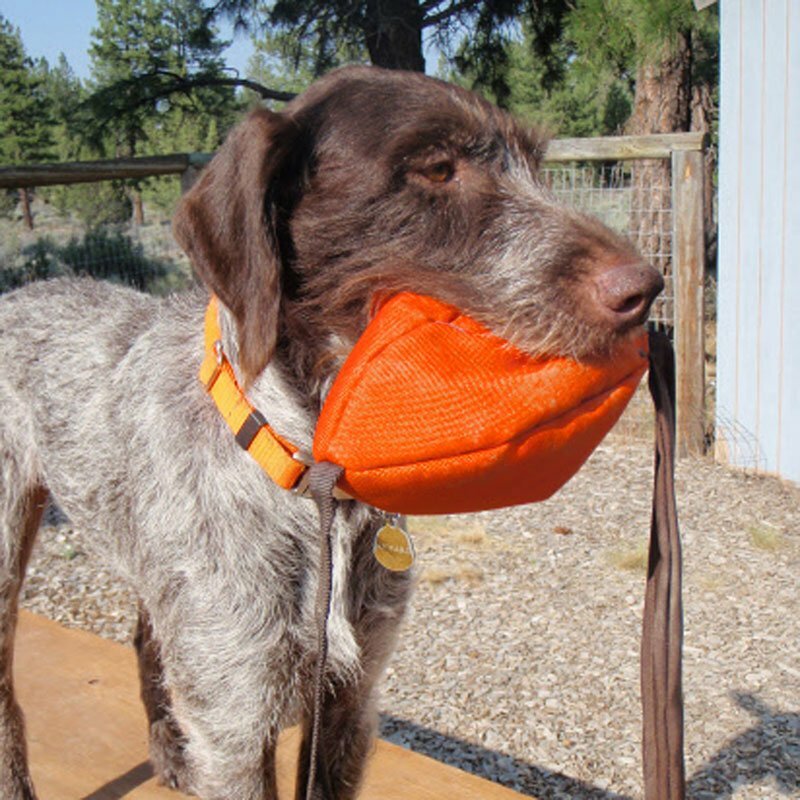 The strap can also be used as a throw rope. Plus, it floats!